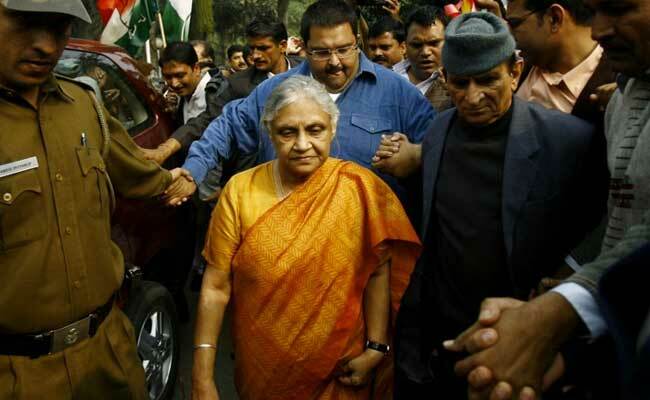 Sheila Dikshit has said leadership's decision will be "acceptable to all"
The resignation of Ajay Maken as Delhi Congress President has brought former chief minister Sheila Dikshit into the spotlight. The senior Congress leader, according to a report, could succeed Ajay Maken as Delhi Congress chief. Ms Dikshit's comment to accept the party line over the possibility of an alliance with Aam Aadmi Party (AAP) in Delhi is likely to have helped her emerge as the frontrunner for the post, news agency Press Trust of India said quoting its sources. "The party will decide, the high command, Rahul Gandhi and all will decide and whatever they decide will be acceptable to all of us," Ms Dikshit told news agency ANI when talks of a partnership with AAP emerged in December. 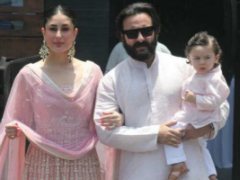 Her comment is seen by the Congress leadership as a major tone down from her earlier stand, when she reprimanded Arvind Kejriwal during the conflict with Lieutenant Governor Anil Baijal. Ms Dikshit served as the Chief Minister of Delhi for three terms before AAP's Arvind Kejriwal dismissed her with a record mandate in December 2013. 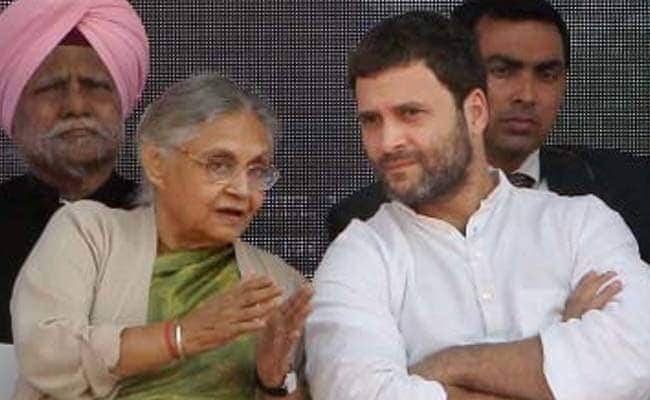 Sheila Dikshit had said Congress leadership's decision on alliance for upcoming elections will be "acceptable to all". Mr Maken, 54, was seen to have differences with the central leadership over the possibility of an understanding with Arvind Kejriwal's party. The AAP and the Congress have not yet denied the speculation. A two-time parliamentarian and former union minister, Mr Maken replaced Arvinder Singh Lovely as Delhi Congress chief after the party was decimated in state polls after three terms in power. Ajay Maken resigned from the post of Delhi Congress chief on Friday. He is believed to have given health reasons for resigning. But sources say there is a possibility of Ajay Maken being given a new central role or even contesting the Lok Sabha election. This is the second time he has resigned from the post. In May 2017, he had resigned after the party did not perform well in civic polls. But he took it back reportedly after Rahul Gandhi, then vice president, asked him to continue. Besides Sheila Dikshit, Congress leaders Yoganand Shastri, Rajkumar Chauhan, Haroon Yusuf and Chatar Singh names are also being discussed for the post, the report said.